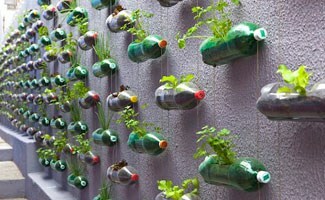 Apartment gardening, or urban gardening, is not limited to those who live in an apartment and wish to create a garden. It includes anyone who lives in limited space and has to get creative about how they create their garden. You can have a garden anywhere you live by just dedicating a little of your precious space. You can also get creative with containers, especially if you are interested in repurposing items you might otherwise think of as trash. 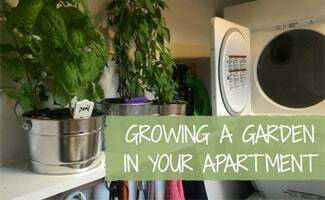 What Can You Grow In An Apartment Or Small Space? Do you need some apartment gardening ideas? Apartment herb gardens are the most obvious choice for small spaces, but if you are creative, you can expand that to other items and create an apartment vegetable garden. The main thing is to make sure your container allows the plant access to the sun, and is able to hold the plant and dirt, as well as the water you will be putting in it. Here you will find some ideas for potential garden containers and ways to create gardens in limited space. Many people who live in apartments or other small spaces are turning their rooftops into gardens. If this is the way you plan to develop a garden, just keep in mind that you need to be careful about the weight you put on your roof. Most roofs are built to hold 20-30 pounds per square foot. You can use peat moss for part of your soil needs, and there are now soil manufacturers that make soil just for urban agriculture and rooftop gardening. If you live in areas that receive snow, you may need to move your garden indoors during the winter to avoid too much cold and roof weight. The snow on top of the weight of the soil and container may be more than your roof can hold. Another alternative is to build a sort of tilted greenhouse lid over the garden so that the snow melts or drains off the roof immediately. Caution: Roofs tend to be high, by definition. So if you decide to grow above ground, be sure to take extra precautions to prevent falling or other potential injury. If you are afraid of heights, this option is probably off the table! Also, you will need water to keep the plants hydrated so make sure you have access to water on your roof or you may never see the fruits of your labors… literally! According to Carlysle Syntec Systems, “the typical 4” roof garden weighs between 20-25 pounds per square foot. Weight can reach 100+ pounds per square foot for intensive gardens with shrubs and trees.” So the first step is to design your garden and then make sure your roof is designed to support its weight. The weight should be evenly dispersed where it can be handled best. You can do this by putting your gardening support beams along the top lines of the support beams of the roof itself. Once you have the structure built and it is ready to hold soil, line the wood with plastic, making sure to create a drain hole at the lowest angle and attaching a pipe or hose for the water to drain. Fill the lined garden structure with soil and seeds, water and get ready to enjoy your crop. Of course you can also grow potted plants individually but you still need to be careful about dispersing the weight if they are for your rooftop. For this reason, tall planters that hold more than one plant may not be the best type of planters to use. Small potted plants can easily be spread across a rooftop or along the edge of a deck. Imagine pots just outside your kitchen door filled with all the fresh herbs you could want for gourmet cooking. Yum! Since this is your garden, you have the free reign to decide what kind of containers work best for you. Your container needs to be able to hold soil and water, but allow for good water drainage as well. If there are not already holes in your pots, drill holes. Then, attach a PVC pipe or hose to encourage water to drain off the roof itself. Include a bottom layer of rocks or pebbles in each container to help with the drainage before adding soil on top. Small wading pools (the kind designed for kids) make great rooftop or patio gardening containers. They are light and easy to lift and modify. Further, if you take your garden down at the end of the season, these pools can simply be stacked in one pile for easy storage. But, let’s leave the actual kids to play on pools in the yard! If you live in a small place where you can’t grow a garden outside, you may have limited room inside as well. But, you can still grow a garden! You just need to think in terms of vertical space rather than horizontal. The best part about this is that there are so many ways you can repurpose items to create an indoor garden space. Two liter bottles make great planters on a wall. Lay the bottle on its side. Cut enough of a space out of the side that is now facing up for you to put dirt in the bottle. Poke one small hole near the cap, in line with the plant hole. Poke another hole directly below that one in the other side of the bottle. Repeat this process at the other end of the bottle. Using a small sturdy rope, string it through each top hole into and through the bottom hole. There should be enough rope left at the top to tie to an anchor that is attached to the wall. Tie a knot near each of the bottom holes so that each bottle lays level horizontally (on its side) when hung. If space allows, leave more rope at the bottom to add more bottles as you need them. Anchor a sturdy curtain rod or pipe to the wall and hang the bottles so that they are horizontal, with the open space facing up. Fill bottles with soil and seed your plants. Be sure to build your planter where you will get good light and be careful not to overwater since this solution does not allow for drainage. Unless you have very sturdy hinges on your doors, I do not recommend doing this project by hanging the shoe organizer on a door. Instead, you can use the same technique as listed above to hang a shoe organizer on a wall that gets good natural sunlight. This one is ready-made and perfect for herbs . Simply fill each compartment with soil and seed. If you need to seal the compartments better to keep them from leaking water or soil, consider a non-toxic clear caulk. When you are done, you will have turned your shoe organizer into a living spice rack and a piece of art for your kitchen creations! Pallets can be repurposed in so many ways. But, it is important to make sure you are safe about their use. Why? Because some pallets are treated with toxic chemicals and should not be used inside the home, much less for growing food. However, if you can find pallets that are not treated with toxic chemicals, they can make great growing containers, among other pinterest-worthy DIY projects. Turn the pallet on its side and attach it to the wall in a stud that can withstand the weight of the pallet plus soil, plants and water. Then, attach a board between each section of slats so that you have a “bottom” for your planter. Line the inside with plastic. Fill with soil, seed and water. Remember that these planters can be decorated in any way that suits you. So, while you may not like the look of raw wood pallet or two liter bottles, you can easily pretty them up with appliques, stencils, ribbon, stickers and pretty much any other crafty item you can think of. Check out how this guy decorated his roof. He’s got a nice little “getaway” right in the city! There are tons of benefits of urban gardening. One of the main benefits of apartment gardens is that you don’t have to worry about weeds. Your planter is only going to grow seeds that you put in it, so long as you stick to store bought soil rather than soil from your yard. You are also purifying the air with these plants since the natural process of photosynthesis removes carbon dioxide and other pollutants from the air. So you are getting the benefit of fresh food and herbs along with the benefit of clean air. What are you planning to grow in your small space gardening?